In the morning while traveling. taking small walk toward Nara Park and Todaiji Temple. Feeling easy and comfortable in the forest with green trees. 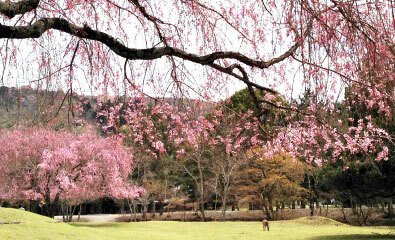 Enjoying abundance of cherry blossoms in Spring and colored leaves turning in Autumn. 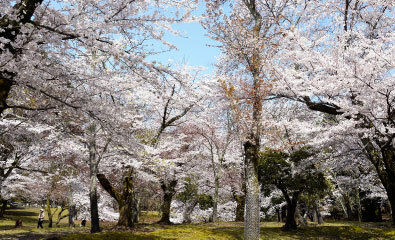 There are a wide variety of cherry trees - Someiyoshino, Higanzakura, Naranokokonoezakura, Naranoyaezakura. 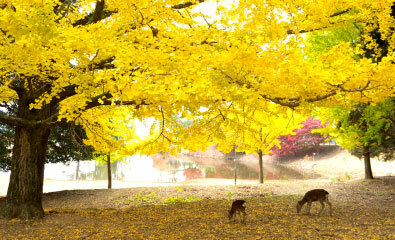 You can enjoy during a month until the Golden Week (May3-5) . There are several kinds of autumn leaves - large ginkgo, maple. You can enjoy from the early time of fall until late autumn or winter. Not only in spring or autumn - vividly changing the shoots, birds chirping in the forest and the fluctuation of the leaves - those beauty of the forest are in the year. 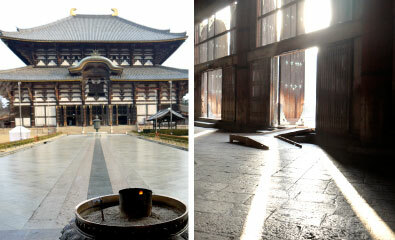 Among the rich nature of Nara Park and Todai-ji Temple , please feel easy and comfortable relaxation. igatsu-do are opened in anytime and at admission free .The landscape over Nara night town would be remained in your memories of Nara City . 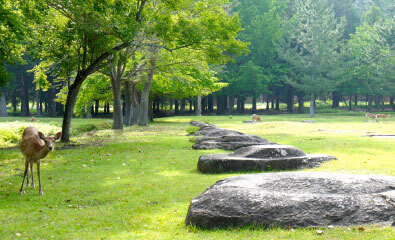 From the early morning at 7:30, DAIBUTUDEN are opened from April to October. You can spend quiet moment in the early morning. Refreshing morning with chilly air in the morning. 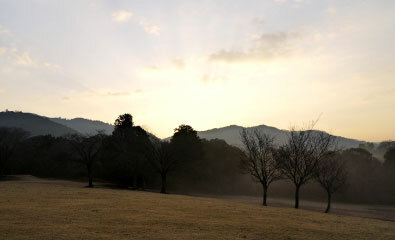 Get up a little earlier, going a little further toward Tobihino-area(south part in Nara Park). 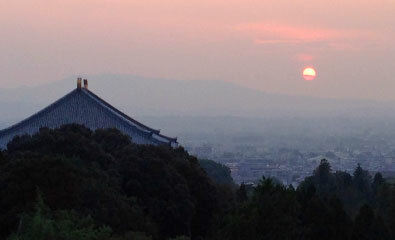 There in nothing interrupting you and watching the rising sun over the mountain swallowing in the color of sky. In the eternal time in Nara, please enjoy the luxury of traveling at this beautifullcity with full of history, - spending the quiet morning.